Hi everyone! Hola a todos. For those who don’t know and/or haven’t been following the travel side of my blog, MollyinSpain, I’ve been studying in Spain and traveling in Europe but I’m back with a post on BookTubes! What are BookTubes? Why watch them? Simply put, BookTubes are youtube channels by authors, for authors, and/or about books. I first started watching them to learn more about writing and publishing. Ultimately, most of what I needed to know to self-publish I learned from various channels including KIM CHANCE for writing and publishing and TEXAN IN TOKYO for using Amazon Createspace. TEDx also has some great videos about writing and motivation. Again, its a great way to build community., like blogging, but also can be great marketing. (But it’s not worth doing for the marketing if you aren’t passionate about it and/or have a lot of other platforms you’re juggling). It’s great if you like to talk more than write or want to be more visual. Like with blogging it will take a while to grow a platform, if at all, so don’t do it only for that. Things that can help include– mentioning your channel on other social media, hosting guests or guest appearing on other’s blogs, asking people to subscribe/like during your posts, etc. A while back I posted on Twitter asking for people who do BookTubes and what channels they like to watch. And I found some really great sites I hadn’t found before. My favorite, and go-to, Kim Chance. Kim is a published YA writer who is upbeat and encouraging while remaining real. Her videos cover almost everything a writer needs to know. HopefullHappenings A wide range of videos, like Kim Chance, about the writing process, publishing, marketing, etc. Bonus: they’re relatively short but informational. Mandi Lynn focuses on publishing, including everything a self-published author needs to know but also covers other important writing topics. Francina Simone YA writer who tackles the more intangible issues of writing and especially reading like diversity, book reviews (what works and what doesn’t). Looking to learn more about other social media for writers? Check out my A Teen Writer’s Guide to Social Media. I read Karma’s WIP (work in progress/manuscript) and absolutely loved it. Probably one of my favorite reads (so I’ll definitely be posting more information here when it gets published so you can check it out too). So, what is BETA/Beta reading? Beta reading usually consists of reading and giving feedback on a polished manuscript, either before the author has an agent or after (but before publishing). Authors usually ask friends and family as well as other writers to give feedback. What’s the difference between a Beta reader and an ARC reader? ARC stands for advanced reader copy. Before a book is published, but after the major edits, readers (especially reviewers and bloggers) read and recommend ARCs to promote pre-sales and sales. Most of the time there are changes made after Beta-reading, but not in an ARC (unless it is a typo, etc). The more eyes you can get on your manuscript the better you can make it (and more likely you’ll catch plot holes or awkward phrasing etc.) This doesn’t mean you have to listen to everything every reader says, but the more information you have the easier it is to make an informed decision. For example if 1/14 of readers want something different you may consider it but maybe not as strongly as if 12/14 agree on something. When should I look for someone to Beta read? After hiding my manuscript from all eyes until it’s perfect? For my first novel, I hid it from the world until I was half way through and got stuck so I gave it to my mom for help, and then only let others read it once it was fully done. For my second, I’ve had more feedback throughout the process– friends who I shared chapters with to make sure I was going in the right direction, for motivation to write as they prodded me for what happened next, and encouragement as they told me what was working (and what wasn’t, but how to fix it). I personally would recommend everyone have a trusted early reader (an alpha reader, shall we say) who reads as you write. You can ask them for feedback or just encouragement, whatever you need. It adds a level of accountability that can be crucial especially during the “middle manuscript sag” when motivation and hope for finishing are low. That being said, another way to get this is through critique groups. Usually composed of a group of writers who share parts of their work at a time (chapters, pages, etc) and give feedback to each other. This can occur online, in person, or a mix of the two. Ask for writers wanting to make a group on Twitter (#writingcommunity). See if there’s a literary center near you (like the Loft in Minnesota). Many of these also have online forums where you can post. Go to conferences and talk with other writers. Make one if you have friends who are writers. If you’re in school, ask the English department or English teacher if they know of other writers who might be interested. How do I know if it’s working well? So my first two critique groups were sub-par and I thought that’s how all of them would be. In the first, I gave much more feedback than I received, was one of the only people to turn in my critiques on time, had very different view points than the other authors, and just seemed to be putting in way more than I was getting out of it. That being said, make sure that you are getting out of it what you want and that you aren’t putting in an unequal amount. Make sure the people you are with have similar styles in that their feedback is helpful. In my second group, we were all at different places in the writing process and wanted different things– some wanted to do writing exercises together, some wanted to share experiences, and some wanted feedback on materials. Basically it was hard to cover everything and made much of the time unhelpful for most people. So make sure you’re with other writers at a similar stage in the writing process who want the same things out of the group. Make sure there aren’t too many people because as great as it is to get more feedback, that means another set of pages you also have to critique. Utilizing your critique group for more than just feedback. If/when you go to publish, ask them to write reviews (on Amazon and Goodreads and a blog if they have them). They’re hard to come by and make a big difference in others buying the book. Promote each other’s work on social media, blogs, etc. Have them review query materials. Ask them to write a review for the cover, especially if they are published or well known. If you found this article helpful, share it on social media and follow my blog (on the menu on the right). You can follow me on Twitter at @mollyfennig . So for those of you who don’t know, I’m studying abroad in Spain this semester and taking classes in Spanish. If you’d like to follow my travels, go to MollyinSpain and subscribe to get an email (about once a week) about what I’ve been up to, including pictures. I’ve already been to several Spanish cities and Amsterdam and have trips planned to London, Portugal, Morocco, Italy, and more. Currently I’m working on my third novel. How do I do that while abroad, living with a host family that doesn’t speak English, and traveling every weekend? It’s definitely hard but here are a few tips I’ve learned so far. Get GoogleDocs or some other app you can use without WiFi. I have it on my phone and set the document to “available offline”. Write in the short periods of waiting time. (I’m writing this post at the bus stop). You can also take advantage of time before class, waiting in line, plane/bus/train rides. If you are working in short chunks, it’s ok to write notes or random scenes rather than just going from start to finish. Find someone else who wants to set aside time (for reading, writing, whatever). A friend of mine here is a playwright so we are scheduling in time to meet up and write together. Great for accountability, to have someone to talk things through if you’re stuck, and to make sure it doesn’t keep getting pushed to “tomorrow” (we’ve all done it). Read. In your language or the host country’s. I bought some secondhand books for a few Euros in Spanish. Not only will it help me with my Spanish skills, (like reading any book) it’ll help me learn how great authors plot, characterize, etc, and from a new perspective. Audiobooks while you walk. Like 5, but great for running, walking, or working out. You can also read while you stationary bike at the gym. (Plus, neuroscience bonus, you remember things better if you read them while working out). If you don’t have waiting time in your day, make some. I’ll show up to school or excursions a few minutes early and write. Since you know there’s a deadline, it’s easier to keep from procrastinating. Bonus points if you’re waiting outside in the sun. Keep a travel journal or blog. Huh if only someone had an example for you to look at… like this one… it’s great to use later, for inspiration, characterization, plot, etc. You might even find some juicy descriptive sentences you can transplant into your work. Plus, as a bonus, you’ll remember more of your trip and can look back later, nostalgically. Have fun, and be kind to yourself. Push yourself to write if you can, but be ok if it doesn’t end up happening as often as you think. First of all, wow. 5/5 stars. This book is amazingly written. The prose is poignant but smoothly read. The characters are complex but distinctly unique, with clear motives you can’t help but cheer for, hold your breath for, yearn for. 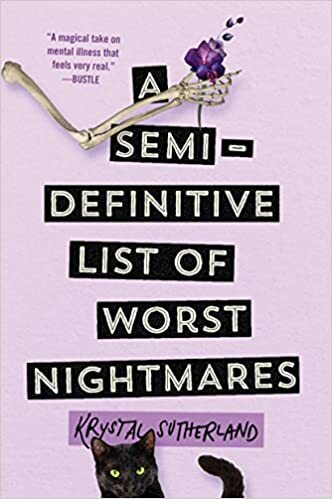 This, along with solely John Green’s The Fault in Our Stars, holds a coveted spot in the category Made me cry and in a wider, but no less impressive category, Kept me thinking about the characters and plot after I closed the book. This book tackles tough, important issues, like immigration and race in not only a tactful, honest, and true way, but also does so realistically. Authors who want to write about such topics should read this book, study it, worship it, soak in all its wisdom and technique and hope to seek the level it attains. In the vein of complexity, Yoon does what most of us do not dare to do– as writers, readers, or humans– to see aspects of initially unlikable people (perhaps even potential villains in our life stories or novels) and find their humanity. Their driving force and their flaws as forgivable and secondary rather than intrinsic and defining. Normally, as a writer myself, I often catch myself reading as one– analyzing the length of scenes, dialogue/description rations, stopping at great metaphors to figure out why and how they work. I didn’t stop at all reading this book. I sat down, picked up the book, and put it down less than 4 hours later. Perhaps this had to do with the realistic dialogue and the grounding, but not overpowering, reference to location and real-world phenomena. Perhaps this story was just good at doing what books are supposed to– transporting us to other realities or viewpoints and then dropping us off later, with a little more understanding of what humanness is, beyond our own, limited viewpoint. Although, as many readers do, I tend to lost when the viewpoint switches too much, I absolutely loved the different viewpoints and short chapter lengths. The short length helped with pacing. The different viewpoints allowed the visiting of a more complex view of the same events (and the same people) and the manifestation of the book’s theme of needing to know everything in order to know something simple– that perhaps ‘observable facts’ are not simply enough to understand the world that is laden with bias and differing views and abstractions like love and dark matter. Some of the chapters read, beautifully, like short stories on their own. The reassignment of a minor character as the main character in a chapter, along with more elaboration than they normally would get, was especially powerful. The possible ascension of anyone to the role of main character, along with the addition of the life lessons they had learned and how they looked at a scene or issue or life added a layer I didn’t realize was possible (or important) until I read this book. Finally, although I sometimes like love stories like the meet-cutes in rom coms or other instances where love occurs rapidly (also called insta-love), often it lacks a genuineness. It feels heart lifting, maybe, but also fake and unrealistic. While technically this book takes place in around a day, it doesn’t feel like that. The basis for a real, healthy relationship/love is founded first. The character’s attraction to one another goes beyond looks. They know who the other person is because as a reader, along for the same ride, we know who they are. All in all, you should read this book. If you know a lot about the immigration process, read this book. If you don’t know much about the human side of the immigration process, read this book. If you like captivating reads with complex characters, read this. 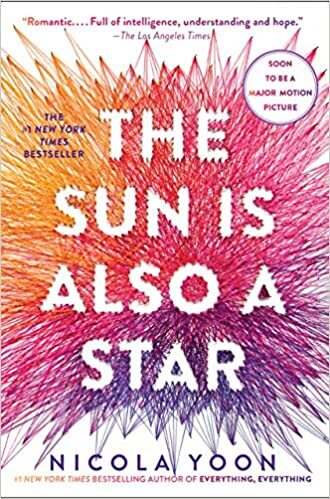 If you want great writing or just a great book, read The Sun is Also a Star. If you liked this post, subscribe to my blog in the menu on the right. Share this post on social media. If you would like me to review your book or if you would like to write a guest post, contact me. The book comes out on Tuesday the 8th! Catch the online release party here. You can pre-order the book on Kindle now, here. I would give this book 4/5 stars. I want to preface this by saying I normally do not like time travel books. There’s the Grandfather paradox and alternative realities that complicate things. Many times time-travel books solve their problems in the end with some rule that had ‘always been there’ but conveniently was never mentioned. Also, keeping track of everyone is infinitely harder with different time frames. I also, recently, tend to prefer contemporary fiction, simply because there’s less world-building to slog through. Having said that, this book does a great job with setting up rules and sticking to them. Of keeping world building relatively subdued but understandable. Within the first few pages we get a good idea of what’s going on without being bored by description. Part of this comes from my favorite part of the book, the quotes/journal entries/etc at the beginning of each chapter, along with the dates. There are clear character arcs and each character feels unique and dynamic. The descriptions were really well done. Very vibrant and easy to read. I was able to read this book in basically one sitting which attests to its pacing, stakes, and characters. One thing I struggled with, though, especially at the beginning, was the dialogue. 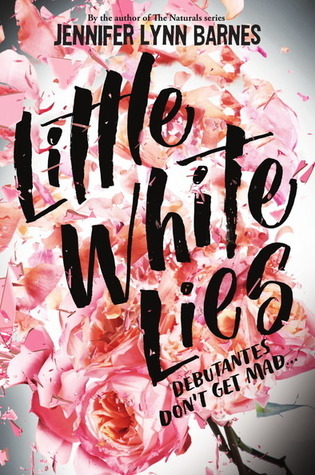 It felt too “on the nose’ (ie too much information in a way that people don’t really talk, functioning as a way to inform the reader but lacking in naturalness). For example, I really, really hated the word ‘na (ie I did’na quit my day job). It took me a while to understand it and even when I got that it stood for not, it felt awkward and kept tripping me up. 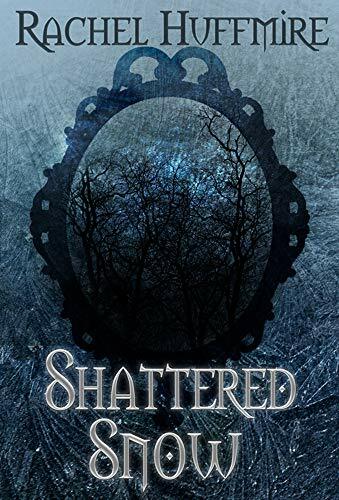 All in all, Huffmire is a talented author and this is a great debut book– I can’t wait to read more of what she writes and I recommend you check out this book, especially if you love time travel and historical fiction. I felt that the Mirror’s underlying motives for the whole operation was somewhat lacking. He wants money to keep the program going, sure, but the rest he’s just doing out of the goodness of his heart? I buy this more as the story goes on but not much at the beginning and not as much as I would like. Also, what makes him so committed to random people, like Bianka, enough that he would undergo a split? Again, I see glimpses of the answer but would have liked a bit more. I enjoyed the fairy tale ending (with the brothers Grimm) immensely. This was both clever and satisfying. I also liked the Mirror coming to care for Bianka at the end. This helped the book not only plot wise and character wise, but also felt right– not forced nor out-of-the-blue nor predictable. Finally, I liked that the end was wrapped up but still open in some ways (for a sequel perhaps??) Can’t wait to read it, if so. If you liked this post, subscribe to my blog on the menu on the right. Share this post on social media and support Rachel by buying her book! If you would like to have your book reviewed or featured, check out my requirements and contact me. I bought this book on pre-order after following Lucia DiStefano on Twitter. She is an amazing writer and person and I was intrigued by the blurb she tweeted about her novel, Borrowed. Pacing. I finished it in less than 3 hours, in one sitting. The prose is tight, the stakes high, and the concept intriguing. In many books I read I can see what the ending will be and what will happen but I was consistently surprised while reading Borrowed. I appreciated that while the heart transplant set the stage for the story, it wasn’t the whole story. (Almost like *gasp* the characters– like people themselves– are more complex than one attribute. In this way, the characters were round (with interests besides Finding The One™) and clear personalities). Toxic relationships were portrayed as the toxic person’s fault (as they should be more often in literature!) The toxicity of certain people not initially apparent, just as it isn’t in real life. The more-or-less happy ending, without being too cliche or forced. Along with that, there was a lack of cliche characters, plot points, genre tropes, etc. Very refreshing. The parents and/or love interests do not save the damsel-in-distress™. Many books that now try to have Strong Female Characters™ actually don’t let her ‘save herself’ or solve the main conflict. I love the name Linnea (almost as if I used a version of it in my own novel Insomnus). Also, having the main characters have different-sounding names helped some with distinguishing between them. I really wish I was less confused while reading. I got lost during some transitions between points of view. Some of the ‘reveals’ were not obvious enough or had not enough foreshadowing that initially I had trouble believing them (*I’m looking at you Tyler. Where did you come from?*). Namely, I didn’t have an issue with these plot points (I think they were great ideas) per say, but they felt out-of-the-blue when they were revealed. Some were well foreshadowed (ie the writing on the arm, etc) but some were not sufficiently hinted at. I had trouble with one scene towards the end that was relatively unpleasant (if you’ve read it, you should know which one I mean). I go back and forth about it because I think the book could have done without it, but also understand, to some extent, why it was there. I think, all in all, I would have liked it better if it was threatened but didn’t actually occur. The story was already dark enough, the character in question was unlikable/smarmy/etc enough without it. Something just felt off at the end. Perhaps it was the confusion. Perhaps it was that at certain points I felt the character’s actions weren’t the most realistic– see spoilers below for details. But I loved the end end (the very last bit). Why did Linnea/Harper get into the back of the truck instead of just following him? Why did Max continue to be hostile towards Tyler after Harper told her what to do? (I can understand her being emotional, but it came off as just unintelligent). I really liked that Linnea/Harper had to eat the mushrooms– many times novels introduce conflict but don’t go far enough into them to have real stakes. In this way, I also liked that it ended up being Linnea at the end and the switching was due to death/near-death experiences (but wasn’t explicitly spelled out. Thus, the rules to the ‘magic’ were clear but not hit over our heads).